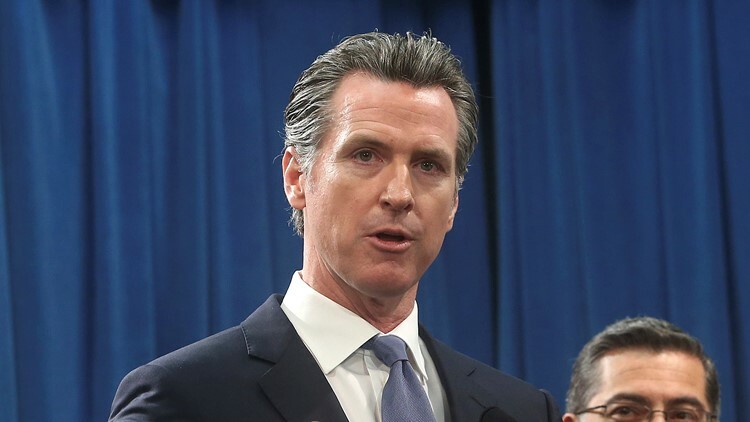 Governor Gavin Newsom called the death penalty 'a failure' that has discriminated against the mentally ill and people of color. SACRAMENTO, Calif — The 737 inmates on the nation's largest death row got a reprieve from California Gov. Gavin Newsom on Wednesday when he signed an executive order placing a moratorium on executions. "It's a very emotional place that I stand," Newsom told reporters after signing the order. "This is about who I am as a human being, this is about what I can or cannot do; to me this was the right thing to do." He said his views on the death penalty were first shaped 40 years ago when he learned of his grandfather's and father's advocacy for a wrongfully convicted man. "I was a young man learning that life story," he said after signing the order. "I've gotten a sense over a course of many, many years over the disparities in our criminal justice system." California hasn't executed anyone since 2006, when Republican Arnold Schwarzenegger was governor. And though voters in 2016 narrowly approved a ballot measure to speed up the punishment, no condemned inmate faced imminent execution.